The Lost Sector Online Open Beta is planned to start within 1 – 2 months after this announcement is posted. Our IT team is working round the clock to have it ready as soon as possible. 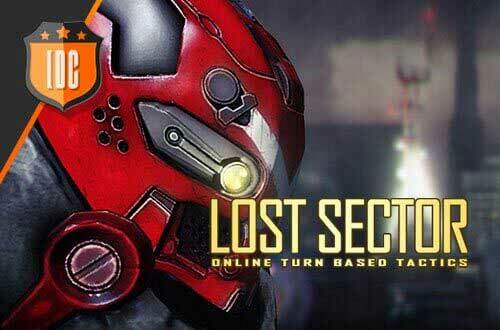 Lost Sector Online is being localized into Spanish, French, German, Italian, Polish, Portuguese, Turkish, Russian and Czech. Not all languages will be available when the Open Beta starts and they will be added during the following weeks. Will there be a wipe after the OBT? No, there will not be a wipe, characters will keep their progression at commercial launch. In which countries will Lost Sector Online be available? The game will be available in all European countries and Turkey. How can I get access the Beta? You only need to register at http:\\www.idcgames.com. Will there be codes for the Beta? No. Users can register for the Beta by signing up at our website and they will receive an e-mail when the Beta is available. Then you can play! Easy! How do I download the Beta releases? You just need to log in at IDC/Games and you will be redirected to the download webpage. You can also press the button “Play Now” from your e-mail (the one you’ll receive when the Beta is available), and the game will download automatically. If you are not logged in, go do it! How do I report a bug or problem that I find within the game? You can report any bugs through the Support Platform. You can also leave your suggestions in the forum! NOTE: Describe your issue in detail and attach relevant images, instructions, and files so that our development team can solve it! If you have any other questions, please leave it in the forum! We will solve it ASAP!